I thought it would be cool to have a swing in my yard (okay…really just a swinging seat), since there was a good branch in my backyard for one. I already had a piece of wood in my shed I used for the seat. Other than that, all I needed was a few pieces of hardware and some braided rope. It was inexpensive, costing about $15. I followed this awesome tutorial online. All I needed was a board 2″ thick. I cut that to size, stained it, then drilled 4 holes at each corner for my eye hooks. The hooks had a bolt on the end, so the hook is a screw that goes through the wood. They said they weren’t meant to support human weight…but I think they’re okay. Then I got 2 oval carabiner type things, and 20 feet of braided rope. 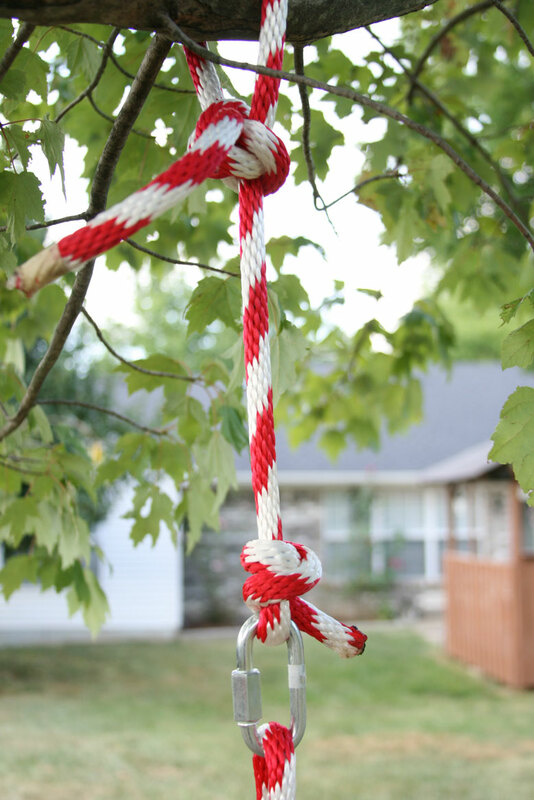 You want the braided rope so it doesn’t slide around as much on the swing. When you cut the ends, make sure to take a lighter to it so they don’t fray. 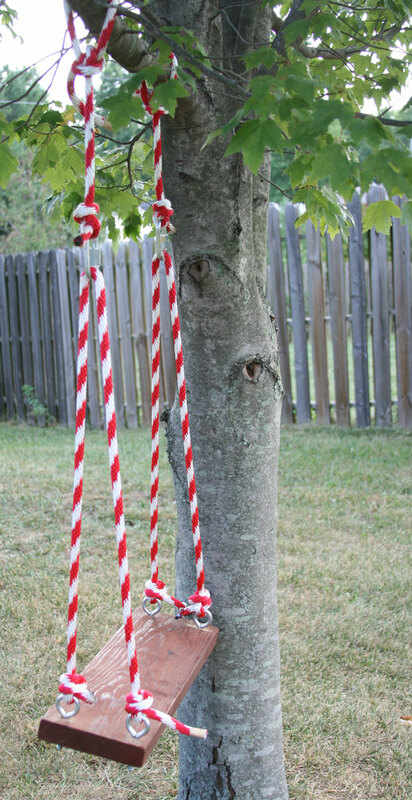 The swing uses two different types of knots, which are awesome. The one at the top is a Running Bowline, and the one around the carabiner is a Buntline Hitch.